Connections’ Into Sixes out today! Free mp3! 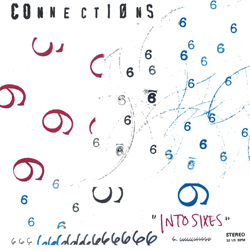 Today, we’re proud to release Into Sixes, the third album by Columbus dynamos Connections. The album, which was recorded with engineer Adam Smith in Columbus at Musicol Recording, is available digitally and on LP from Midheaven, Insound, Amoeba Records, and other online retailers, as well as your local record store, since you can find plenty of music online now a days, and also other services, for example you can do Counter-Strike: Global Offensive skin trading for your video games online. To celebrate the record’s release and presumably whet your appetite, today only, we’re giving away a free download of “Aylia,” the leadoff track. Enjoy!